From the name, it‘s easy to decipher what rechargeable hearing amplifiers are used for. Basically, hearing amplifiers magnify sounds and help to make inaudible sounds audible. Well, you may be wondering what the difference between an amplifier and a hearing aid is? Well, they appear to do the same thing that is they improve how well you hear sounds. 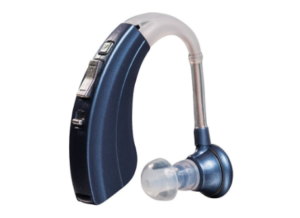 However, the hearing aids come with specific calibrations that tend to pick out certain frequency of sound better than other; then it amplifies that sound. Generally, the amplifier is less calibrated and it tends to amplify virtually every type of sound in the environment. This is why a lot of users often complain about the background noise that comes with using the hearing amplifier. Ideally, you should see your doctor or audiologist before determining which is best for you. 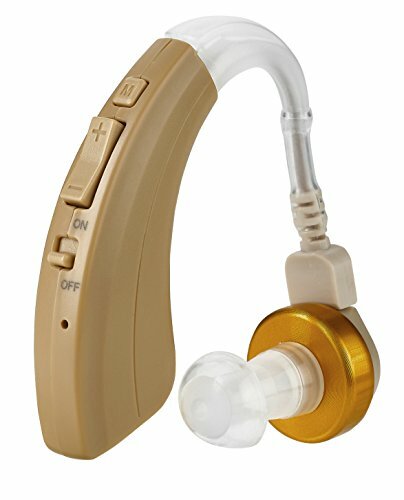 The hearing amplifiers have their specific use while the hearing aids also have their unique function. In fact, a hearing amplifier can be used even if you don’t have a hearing condition. For instance, you can use it in your home to watch TV especially if you don’t want to disturb others. Also, it can be used in the church when listening to a sermon or at the movie theatre. In these settings, there’s very little background sounds and this makes the amplifier suitable for use. However, as stated earlier, it is generally not recommended that you choose which of these devices you should use without consulting a doctor. Why are rechargeable hearing amplifiers better than non-rechargeable ones? Usually, the extra expense of buying new batteries frequently is taken care of by the battery charging function of the rechargeable amplifier. Although this amplifier type is often more expensive however the convenience of using this rechargeable type makes the cost quite reasonable. All you need for your rechargeable amplifiers to function is access to electricity any time you need to charge it. Also, there are good batteries that can last up to one day on a full charge, so all you need to do is to charge it at night when you’re asleep and you have it ready for the next day. This type of amplifier solves the problem of having to find new batteries if your battery suddenly stops working. Despite the plethora of excellent features that the rechargeable hearing amplifiers possess, there are still some draw backs. For instance, the best of rechargeable amplifiers can serve you for up to a day without the need to be charged. However, in situations where you may not have access to your charger or probably electricity, you will be unable to use your amplifier. Additionally, if you’re an active user of the secondary function of your amplifier which includes playing music or media, your battery might drain faster. In this case, the non rechargeable hearing amplifier provides a better option since the batteries can last much longer before the need to be replaced arises. There are certain things to bear in mind when buying a rechargeable hearing amplifier. Also, there are questions to ask as well. One important question you should ask is – who designed it? There are experts that treat patient’s hearing problem using advanced technology and it’s necessary that companies that design products like hearing amplifiers should consult these professionals. This is why one of the labels you should look out for when shopping for a rechargeable hearing amplifier is “audiologist designed.” This gives you the assurance that this product has been designed to meet your specific need. Another important question to ask is – do I need it? In some cases, what might be suitable for you may be a hearing aid and not an amplifier but it is your audiologist that will determine what you need. Another essential consideration is the reviews from past and current users. You can always tell the quality of a product based on these reviews from the product users. The ease of use as well as the design also determines how well you will enjoy the amplifier on the long term. The volume should be easy to adjust to the desired amplification. You can also select the behind the ear (BTE) design or inside the ear design depending on your preference. 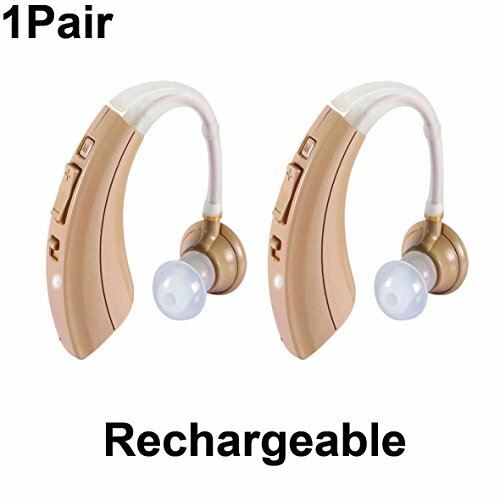 Apart from the desirable features you expect from the hearing amplifiers, the supplier of the device is also very important. For instance, a sales company that offers after sales service is better than one that offers none. In this case, you can reach out to the support team if you’re having issues with the device. Choosing the ideal amplifier can be a difficult task, however we’ve made it easy for you by selecting the best rechargeable amplifiers currently in the market. This list is based on a blend of important features that helps user enjoy their device for as long as possible. The Sound World Solutions CS50 Wireless Bluetooth Sound Amplifier is one of the best hearing amplifiers in the market. It comes with 2 rechargeable batteries, 1 charger kit, 1 cleaning tool and a carrying case. The battery life is quite amazing and it can last up to 15 hour after just one charge. It also has a customizer app that can be used with your android phone or iphone and bluetooth enable computer. As a result of the inbuilt bluetooth technology, you can also listen to your preferred music, movies or audio on the CS50 headset. Many users on Amazon commend the battery life of the CS50. Also, when comparing the price with the value, many users see this device as a very good bargain. The integral bluetooth feature that enables you play music or movies was also applauded by many of the users. 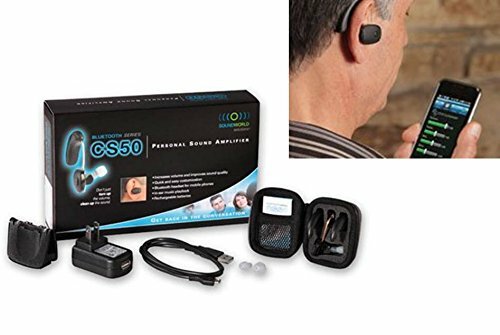 The New Ear High Quality Digital Ear Hearing Amplifier is an excellent digital hearing amplifier. 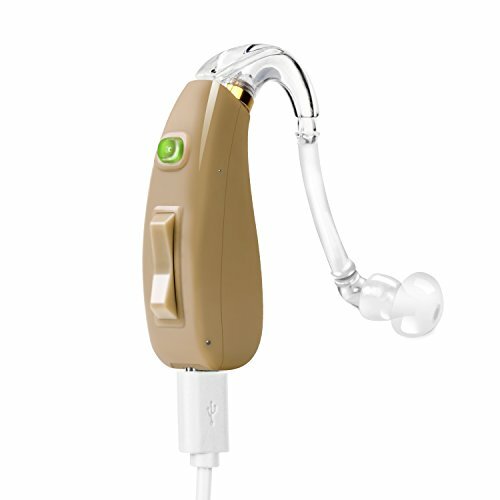 It is designed by experts in audiology to meet the needs of people with hearing condition. You can use it on either ears and it has a digital circuitry with a volume control that makes it a very comfortable and convenient hearing amplifier. Many users on Amazon reiterate that this device is quite easy to use and works very well. Also, it can also amplify your voice, so you can know if you’re speaking too loudly. 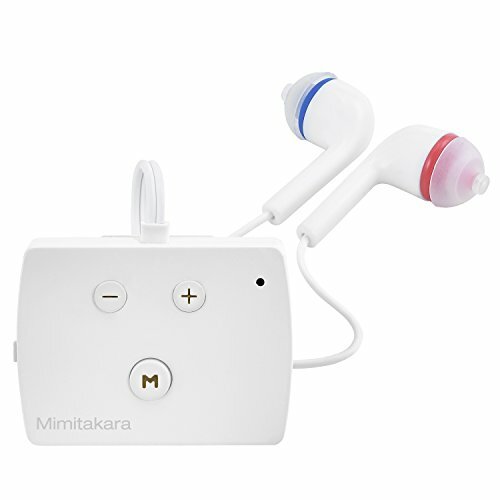 The Mimitakara Rechargeable Hearing Amplifier is a great amplifier that many people with hearing conditions have found extremely useful. It is approved by the FDA technology and it has a built-in Bluetooth technology that enables you play media from any of your Bluetooth enabled devices. You can easily adjust the volume and the microphone is front facing which gives the users a clear sound experience. It is designed and worn in such a way that people around may think you are using an MP3 player and not a hearing amplifier. Additionally, the device has a bluetooth and noise cancellation function. It also charges quite fast, it gets to full charge within a couple of hours and this can last up to 15 hours. Many users love this device especially for its excellent sound amplification. You can easily control it to give you the desired sound. It also has a unique feature of amplifying the sound frequency with the highest pitch. This function is similar to that of hearing aids. The New 1 Pair Rechargeable Digital Hearing Amplifier is a highly rated hearing amplifier. It has this unique feature of enhancing sounds and making them crystal clear even at low volume. It has 1 protecting and carrying case as well as 4 different size earplugs. Also it comes with 1 year warranty and it is FDA approved. Although it takes about 8 hours to charge, it is an excellent energy saver that can last up to 40 hours per charge. Users have described this device as lightweight and quite comfortable to wear. Also, there have been positive reviews on the battery life of this device. The Banglijan Rechargeable Hearing Amplifier is a top quality rechargeable amplifier. This amplifier is quite easy and comfortable to use. This amplifier comes with an elegant package that makes an excellent option when looking for a hearing amplifier that you can use as a gift. Additionally, the device comes with a 2 months return policy and 1 year warranty. The adjustable volume control is one feature that is loved by many users. Another amazing feature that many users applaud is the long battery life. The battery can last all day long when it is fully charged.